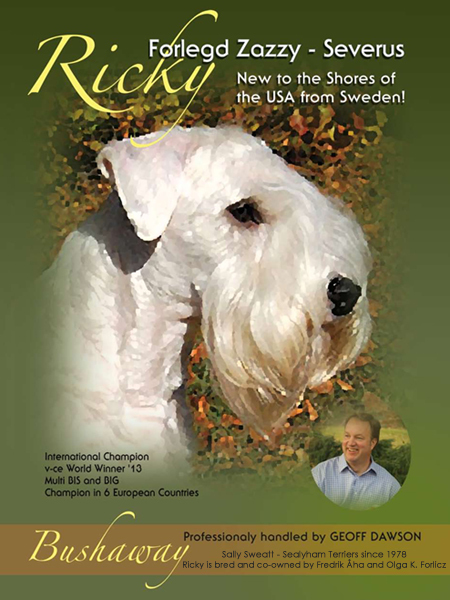 After very successful year, finishing 2014 as No.1 Seayham Terrier in Denmark and being placed in Top 10 Terriers by the Danish Terrier Club, Ricky continues his show career on the other side of the ocean, in USA. Professionally shown by Geoff Dawson Ricky, in a blink of an eye, finished his American title! We couldn’t be more proud of our little baby boy!